Major bombshells were dropped. First of all, Sandra Ma (Love Me if You Dare) was photographed at a hotel with Ou Hao (The Left Ear). They met on the set of The Left Ear (2015) back in 2014. She was 26 at the time and he was 22. OMG, didn’t know you wrote an article about this… thank you! Sandra Ma and Ou Hao have SO MUCH chemistry!! And he looks like such a dreamy boyfriend 😀 So happy for them. Good for Tong Liya to be able to walk away from all of this. I believe she forgave him a few times in the past too. 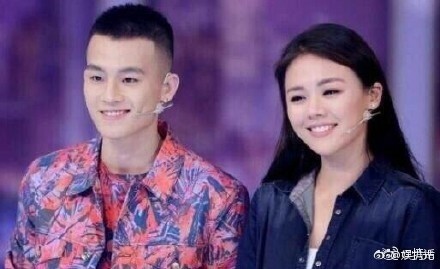 😦 I wonder why guys always fall for these girls… And I didn’t like how Li Chen and Chen He acts either. They act as if they are the most honest people on TV but does this kind of thing without remorse. They do! Such a cute pair. I adore her and can’t understand why this is happening. I think she’ll do better now that a decision has been made! He cheated on her while she was filming take a real man 2 with yang, Huang tao etc. 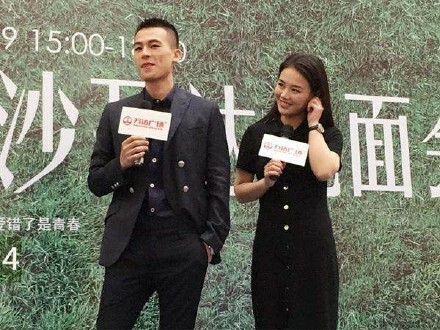 I really hope yang mi and hawick cam stay strong despite his cheating allegations with wang ou. I don’t think hawick is that type that will cheat on ym.unless he falls out of love with her. I watched The Left Ear months ago and thought they look compatible together. Happy for them both! Always nice to see people happy! And they look so compatible… can’t believe I never saw it before. When that pap claimed that Sandra Ma had a boyfriend while filming Love Me if You Dare, I was wondering if that was true or who it was. Now, we know! 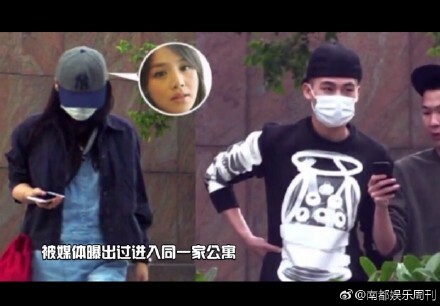 So glad that C-netz are on Tong LiYa’s side and speaking of bombshell, Zhou Wei (a.k.a top Chinese paparazzi) was allegedly photographed at a fertility clinic in Thailand. awww. Sad for her marriage but glad that she made to choice to cut it off. Good thing she gets to keep her child! I was happy for Tong Liya. She deserves better. Wow a lot of cheaters in the business, just like Hollywood. Celebrities and men cheating on their wives seem to go together. There is no use on her wasting her youth on a man that doesnt care about her. yeah really sad. I think she deserves someone better too. And in the end, it is better to be alone than in bad company. He calls one of the most beautiful women in the industry his wife, and yet that’s not enough for some men. Sigh. Tong Liya can do SO much better anyway! She’s gorgeous and a nice enough lady, hope she finds true happiness soon. A lot of people don’t seem to like her husband anyway as he always seemed “off” – might be a blessing in disguise and good on her for getting rid of him rather than stand by the cheater of a husband like some have done. You know how the saying goes… they always think the grass is greener on the other side. It makes so sad though. Tong Liya will find someone 100x better, I’m sure! What’s not to like? I don’t know much about him, but I don’t think many people will like him after this whole debacle. And I completely agree – it’s better for her to leave him alone instead of sticking with him and regretting it later! Awwww to Ou Hao and Sandra Ma ❤ I like the bicycle photo. Hope things get better for Tong Liya. Good for Tong Liya! Kick that cheating trash to the kerb and do what’s best for her and her baby.